So, let’s get you updated on how to create an Instagram Account step by step. 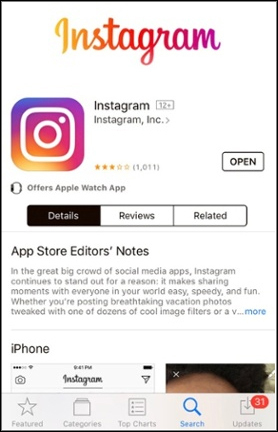 Firstly, Instagram, unlike Facebook, is a social media application that has all the features available only in its App on your phone. So, if you want to create an account on Instagram you need a smartphone and from “App store” on Apple phones or on “Google Play” on Android phones only you can download and install the app. 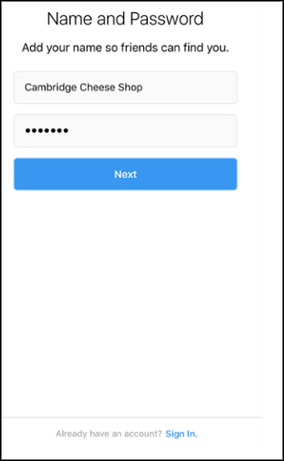 Now that you have downloaded and installed the app on your mobile phone, you can create an account. 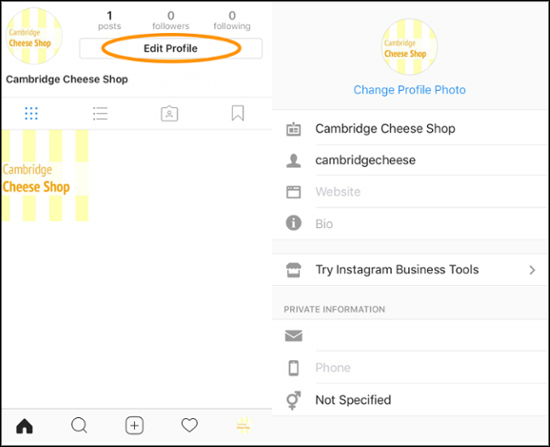 If you are a business owner and would like to use Instagram profile only to post relevant information regarding your business, then choose the option: Sign up with Phone or Email so you can use your business email to create an account. 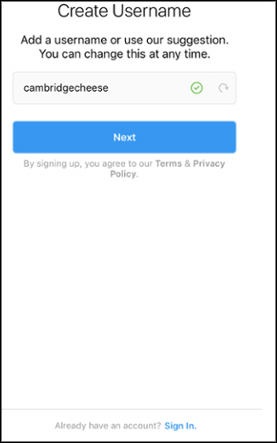 If you use the first option “Use Facebook to login”, Instagram immediately syncs with your personal Facebook profile which is not recommended if you want to use Instagram purely for business purposes. 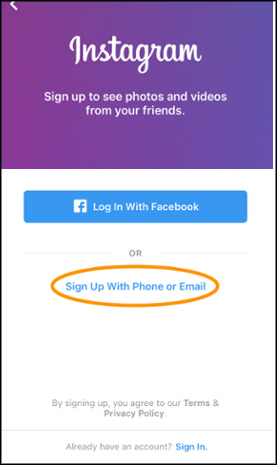 Once you choose the option “Sign up with phone or Email”, the next screen will ask you to enter your Full Name and create a password. This is where many people get confused. 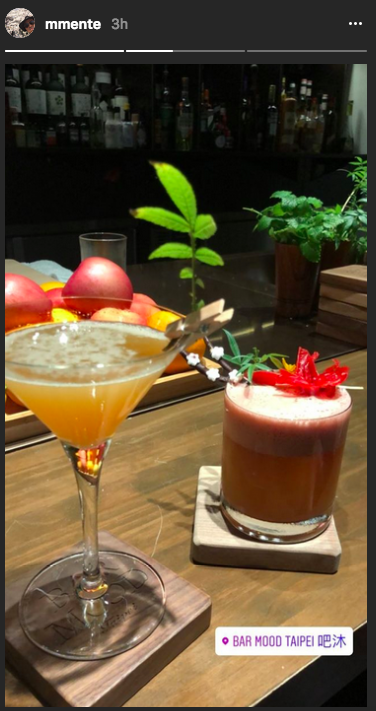 If you are creating an Instagram account only for business purposes then your “Full Name” is not your personal name, it’s your business’s name. You will then be prompted to pick a “Username”. Username is unique to your account and is what is used for searching your profile. So pick a username that is your business name. If your business name is not available then pick the first part of your business name as your username. You can always change your Username later, so don’t worry about it much. You are all set now, you have created your account name, you have picked your username. Now to start working on your profile. First and foremost the important thing about your Profile is your profile pic, so choose something which is relevant to your business and defines it. It could be your logo or company name if you don’t have a logo. Remember, Instagram profile picture has a “Circular” format so make sure there is some negative space in your logo as Instagram will try to crop it in that Circular frame. You have updated your profile picture and now are ready to start working on your bio. Make sure your bio is concise which reveals what you do point on. Don’t beat around the bush as you only have 150 characters to work with. You have a separate column to put your website URL in so don’t try to include your website too in your bio and waste a few characters. Target Audience – Small and Medium Businesses. So, be smart about using the characters to talk about your services. You are all set with your profile pic and bio filled up but you would like to make some changes, don’t worry “Editing your Profile” is very easy. Just click on the “Edit Profile” right beside your profile picture and you can start on making those changes. 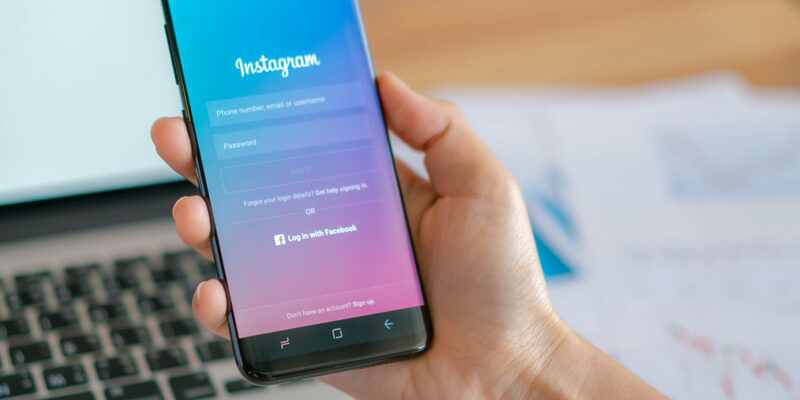 Instagram became famous not because of the pictures that people can post on it but because of a feature called as “Stories” which are “Live Videos” that can be created right from your mobile and will be featured on your profile. These are time bound and generally, expire within the next 24 hours and that’s also part of the reason why this feature is so viral. 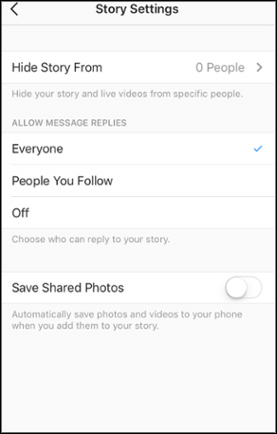 Before you make your Story Live, don’t forget to go to “Story Settings” and make your Story “Public” so that not just your followers but others on Instagram can engage with your profile by viewing your story. Just like other social media platforms, Instagram has launched its “Business version”. Using the business version business owners now have a range of business tools to use. The tool allows users to identify themselves as a business, making it easy for their audience to contact them. Business profiles also provide more in-depth insights and make it easier for you to promote content. 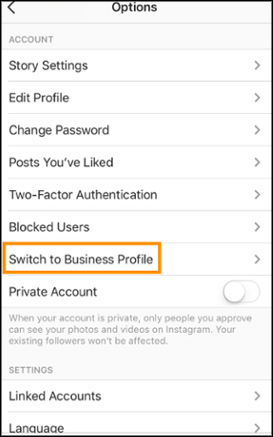 NOTE: You can only convert to a “Business” Profile on Instagram if you have a “Facebook Business Page”. To switch to a business profile, view your profile, and click on the gear icon in the upper right-hand corner to view your settings. 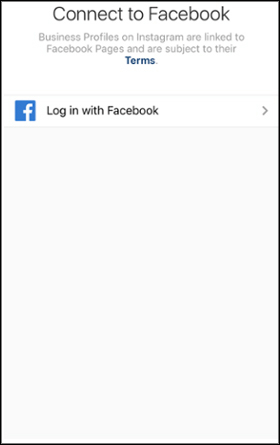 Log in to Facebook, and allow Instagram to manage your Pages. Select a Facebook Page to connect to your Instagram profile. Note: You must be a Facebook page admin to connect the two platforms. Instagram will automatically import relevant information from your Facebook page for you to edit. There is a setting available on most social media including Facebook and Instagram which allows you to define “Appropriate” and “Inappropriate” comments. Social Media is known for its power to reach people whom you may not have direct access to like “Friends of Friends” but sometimes this is also a cause for concern. Social Media is filled with trolls who derive pleasure from leaving inappropriate comments on individual and business profiles too. So having control on moderating “Comments” is a powerful tool to have in the hands of a businessman and that this where this feature comes into the picture. 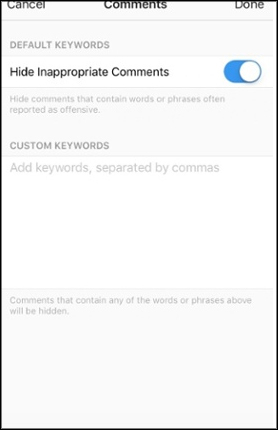 You can define “Keywords” like “Expletives” that you can then add in the box above and Instagram will instantly hide any comments which contain those keywords. You don’t have to manually go and hide them or delete them anymore. So make sure you have this setting enabled on your profile. 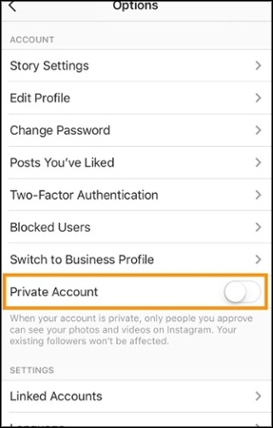 How can I make my Instagram Account Private? It’s great that you have started down the path of using Social Media to reach more people. 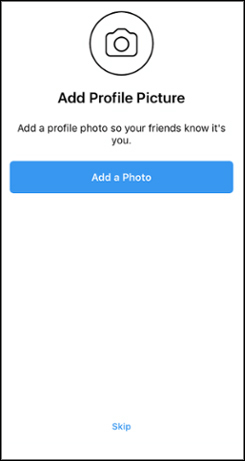 But if you have an individual profile and you would want to avoid unnecessary friend requests and messages you can convert your profile to “Private”. This feature once turned on ensures that your profile is not shown to the public and only people who know your handle can find you. Also, they can only send you a request to become a friend and you have complete control whether to accept them or not. But if you have a “Business Profile” then it makes sense for you to keep this feature turned off so you can enable more people to find your business easily and engage with your content. Now that you have understood “How to create an Instagram Account” and the various settings, next week we will cover “What sort of posts you can use on your Instagram Account”.